Anchovies are commonly small, salt water, foraging fish of the Engraulidae family with more than 100 different species spread across the Pacific, Atlantic, and Indian Oceans. They are normally found in large schools, which make them easy to catch in large quantities, and one of the most popular places to catch anchovies is the Mediterranean, which is why it is such a large part of European, Middle Eastern, and North African cuisines. Anchovies are small, green fish with blue reflections due to a silver-colored longitudinal stripe that runs from the base of the caudal fin. They range from 2 to 40 cm (0.79 to 15.75 in) in adult length, and their body shapes are variable with more slender fish in northern populations. Snout is blunt with tiny, sharp teeth in both jaws. The snout consists of a unique rostral organ, supposed to be sensory in nature, though its exact function is unknown. The mouth is larger than that of herrings and silversides, two fish which anchovies closely resemble in other respects. The anchovy eats plankton and recently hatched fish. Their taste is not pleasant to many people, but for those with certain health conditions, you might want to learn to love these salty little fish, which are normally sold in tins or cans and can be put on pizzas, sandwiches, in Caesar salad dressing, and tomato sauce. These oily fish are actually a powerhouse of several important nutrients. These low calorie fish are used for flavoring purposes and also as the ingredient in food seasoning. They are an important part of salad dressings and pizza toppings. 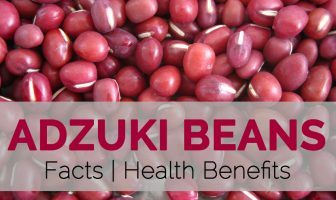 They are used for making many sauces like fish sauce and Worcestershire sauce as well. Anchovies add a salty, nutty, umami-like quality to everything from pasta to pizza. 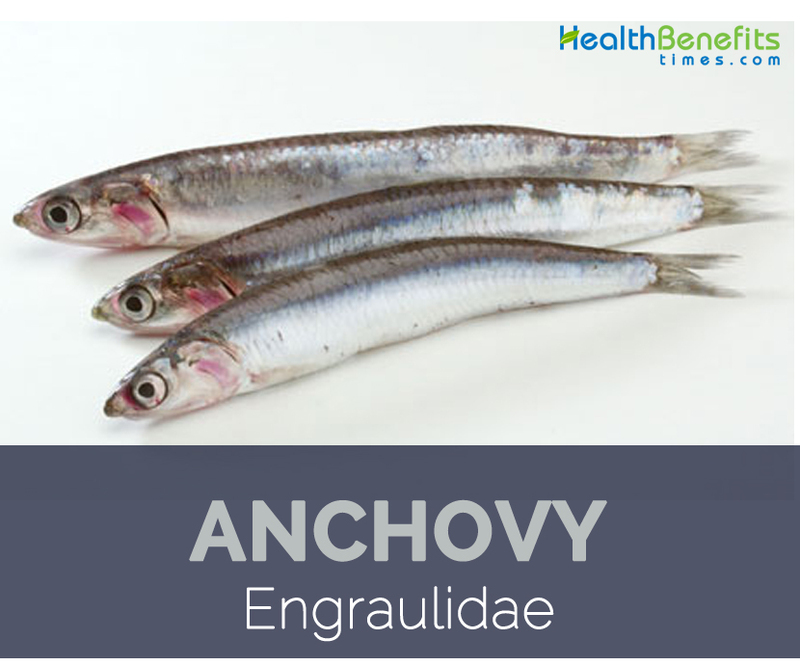 Apart from their wonderful taste, Anchovy is a good source of nutrients, vitamins and minerals. Consuming 20 gram of Anchovies offers 734 mg of Sodium, 3.981 mg of Vitamin B3, 13.6 µg of Selenium, 0.93 mg of Iron, 5.78 g of Protein, 0.068 mg of Copper, 0.18 µg of Vitamin B-12, 50 mg of Phosphorus and 0.073 mg of Vitamin B2. Moreover many Amino acids 0.065 g of Tryptophan, 0.253 g of Threonine, 0.266 g of Isoleucine, 0.47 g of Leucine, 0.531 g of Lysine,0.171 g of Methionine, 0.062 g of Cystine and 0.226 g of Phenylalanine are also found in 20 gram of Anchovies. Anchovies are nutritious salt fish usually found in the Indian and Pacific Ocean. They have silvery scale and are slender. Anchovies are often used for culinary purposes; can either be salted or smoked not to mention they are readily available. They form an excellent nutritional plan for those seeking to lower their carb intake. Listed below are the reasons why you should consider including anchovies into your daily nutritional plan. One of the major dangers of consuming too much fish is the high level of mercury and other environmental toxins that can often be found in their bodies. Smaller fish have far fewer toxins, mainly due to their short life span, and thus add far less toxins to your body than larger fish, while still providing many of the same nutritional benefits! Anchovies are high in omega-3 fatty acids known to have anti-inflammatory properties. Omega-3 fatty acids help lower cholesterol and triglyceride levels in the bloodstream. Besides having anti-inflammatory effects, anchovies are also high in selenium that helps improve cardiovascular health. Anchovies are high in potassium needed for proper muscular and digestive function, as well as skeletal muscular contraction. Anchovies were the base for the fermented fish sauce garum in Roman times. Anchovies were also eaten raw as an aphrodisiac. Because of the strong flavor, they are also an ingredient in several sauces and condiments, including Worcestershire sauce, Caesar salad dressing, remoulade, Gentleman’s Relish, many fish sauces, and in some versions of Café de Paris butter. Anchovy fillets are packed in oil or salt in small tins or jars, sometimes rolled around capers for domestic use. Setipinna taty or ikan bilis is the anchovy commonly used in South-East Asian cooking to make fish stock or sambals. Anchovy is also used to produce budu, by fermentation process. They are usually sold dried, but are also popularly used in fermented condiments like the Philippine bagoong and Malaysian budu. Anchovies are commonly used to make fish stock or are deep fried in Indonesia, Malaysia, Philippines and Singapore. Anchovies are also popular ingredients for the traditional Javanese sambal. Anchovy is the main ingredient in the fish sauce – nước mắm – the unofficial national sauce of Vietnam. Dried anchovies are called pla katak haeng and are used in a variety of dishes and especially popular deep-fried as a snack in Thai Cuisine. Thai fish sauce (nam pla) is also often made from anchovies. In other parts of Asia, such as Korea and Japan, sun-dried anchovies are used to produce a rich soup similar to setipinna taty. Anchovy stocks are usually used as a base for noodle soups or traditional Korean soups. Fresh and dried anchovies are a popular part of the cuisine in Kerala and other south Indian states, and provide a cheap source of protein in the diet. Fresh anchovies are eaten fried or as in a spicy curry. Anchovies are known as hamsi and are eaten between November and March in Turkey. They are generally consumed fried, grilled, steamed, as a meatball, and as Döner, and pilav. If you want to use whole, canned anchovies, wash them in cold water first. Peel the fillet off from one side and then, take off the backbone and tail from the other fillet. Then, rinse again. Unopened canned anchovies have a shelf life of one year. However, once you open the can, make sure to cover the anchovies in a sealed container and refrigerate. They are to be used in less than six months. Fresh anchovies are to be treated in the same way as sardines or herring, for the purpose of cooking. It is important to remember that you can’t interchange fresh and canned or salted anchovies in recipes. Therefore, ensure that you have the right ingredients at your disposal, before you begin to cook. Usually, small sardines can be substituted for anchovies in a number of recipes. However, they should be in the same form, i.e. canned or fresh, as required by the recipe. Salted anchovies start to lose quality as soon as the tin is opened. It may be better to buy only as many anchovies as you need from your local fishmonger. Make sure to rinse off the extra salt off the fish before using since they are much too salty to eat out of the can. If you don’t use them all within a few days, wash the salt off, place in a jar of olive oil, seal with a lid and refrigerate. The fish will keep for about 5 days. Do not keep the fish in the can, as it will give them a metallic taste once the can has been exposed to air. Some recent studies have shown anchovies to be quite susceptible to parasites, so be sure to always purchase your anchovies from a trusted source, and preferably if you know where they are caught. The best way to prevent the parasites from negatively affecting your health is to freeze or cook your anchovies before eating them, rather than eating them straight out of the tin as many people choose to do. Calories 42 Kcal. Calories from Fat 17.46 Kcal. Calories 466 Kcal. Calories from Fat 36.99 Kcal.